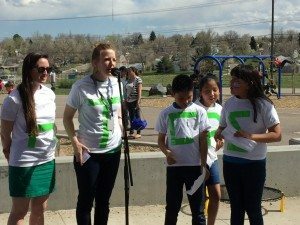 Rock the Earth is excited to announce the winner of the first annual Rock the Earth Challenge: Godsman Elementary School in Denver. “The Reusables,” a team of 20 fourth graders and their teachers, developed a green action plan that addresses the nearly 1,000 milk containers thrown away by their cafeteria every day. They have designed an awareness campaign to help students understand their school’s trash output. Components of the campaign include informational posters, presentations, and the creation and display of a sculpture containing one day’s empty milk cartons! This “upcycled” art installation will serve as a constant reminder of the footprint students and teachers have on the planet. 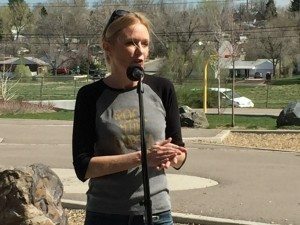 To further reduce that environmental footprint, The Reusables are working with Denver Public Works’ Solid Waste Management department to begin a composting project on school property next year. 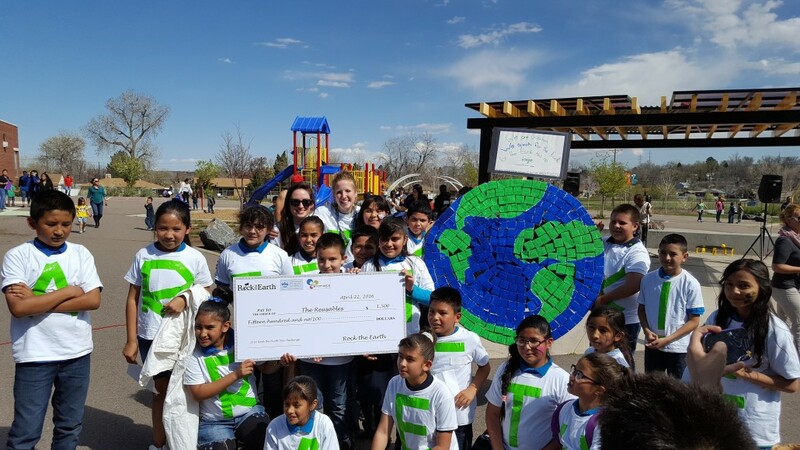 In an Earth Day celebration, Godsman’s Reusables team was awarded $1,500 to implement their project. Chipotle Mexican Grill donated gift cards for each student at the school, and students were also treated to ice cream from Little Man Ice Cream. Better still, Colorado artist Brent Cowles performed live, and even stayed around to sign some autographs. 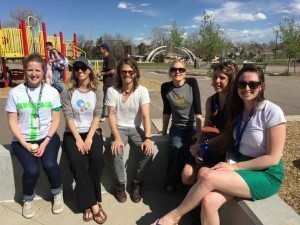 Many thanks to Denver Public Schools Office of Sustainability, Namaste Solar, Chipotle Mexican Grill, Little Man Ice Cream and Brent Cowles. Congratulations to Godsman Elementary!